(Bloomberg) -- In October 2015, Ariel Khawaja traveled to Cozumel, Mexico, to say “I do” before a group of 55 wedding guests. Anchoring the trip around a Drake concert, the 28-year-old, who works in real estate, filled her week with gambling, clubbing at the ritzy 1 OAK, partying poolside at Wet Republic—a day club at the MGM Grand—and otherwise recharging. If the Hangover film franchise cemented Las Vegas’s reputation as the ultimate bachelor-party town, Khawaja and other fun-loving travelers are helping establish it as the opposite: the perfect destination for a divorce party. Often an exultant multiday escapade, these vacations celebrate—not mourn—the ending of a marriage. And in a city versed in over-the-top hospitality, venues are finding creative ways to help divorced men and women embrace their new relationship status. Although the Las Vegas Convention and Visitors Authority (LVCVA) doesn’t actively track divorce-party figures, it also doesn’t shy away from the issue, and seasoned Vegas hospitality vets have seen the festivities firsthand. Adam Clough first heard about the concept 10 years ago but says it’s taken off more recently. He once helped a guest fete his divorce in the company of his former groomsmen. Preferring the moniker “girls’ trip” or “friends’ trip,” Julie Banning, a travel adviser at the Virtuoso-affiliated Embark, has seen the trend rise in the past year or so. A few years ago, when Las Vegas native Bri Steck was deciding what to call her then-fledgling concierge company—which organizes dining, nightlife, and entertainment itineraries for tourists ready to get their party on—she purposely avoided the word “bachelorette.” To meet the rising demand for divorce parties, now about 10 percent of her business, she went with Vegas Girls Night Out (VGNO). Banning says a group of friends celebrating a divorce might be a bit older—and more financially solvent—than a gaggle of future bridesmaids. That means cocktails at an exclusive speak-easy instead of Jell-O shots, and shelling out for capacious accommodations instead of cramming 10 people into a single hotel room. While there was a time when a trip to Sin City might’ve involved posting up at a smoky poker table for an entire afternoon, today visitors embrace a more diverse range of activities. 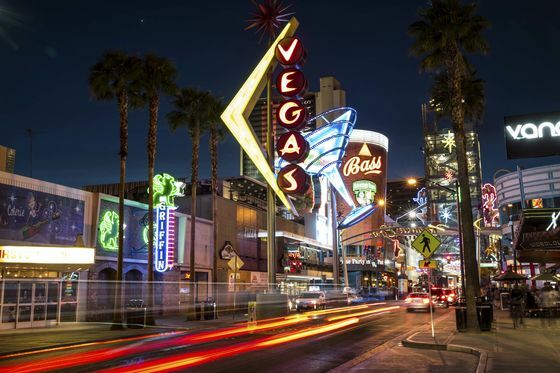 According to the 2018 Las Vegas Visitor Profile Study, just released by the LVCVA, although 74 percent of visitors gambled while in town, two-thirds (67 percent) did so for two hours or less per day. That leaves plenty of time for endeavors like seeing a show, a choice favored by nearly 6 in 10 visitors. Some venues have fully embraced their only-in-Vegas-ness by marketing specifically to the divorce-party crowd. For instance, the Just Divorced package ($499) at Machine Guns Vegas, a self-described “luxury gun range,” encourages divorcées to take a machine gun to their wedding dress and marriage certificate while wearing a black “Just Divorced” sash. But often it’s just Las Vegas itself that’s enough, no official divorce-party label needed. Banning’s clients have embraced activities that their husbands might have pooh-poohed, including a Grand Canyon-from-above helicopter excursion (“Her husband was like, ‘That’s a waste of time, it’s too touristy’”), top-notch seats to Jennifer Lopez, and private meet-and-greets with Britney Spears. Not surprisingly, mending shreds of a broken heart with barely any shred of clothing is a popular option as well. VGNO’s divorce-party clients especially appreciate the VIP seating at Thunder From Down Under—say, around the very tables the oiled-up Aussies-in-thongs dance on. Steck’s husband co-owns the all-male revue. 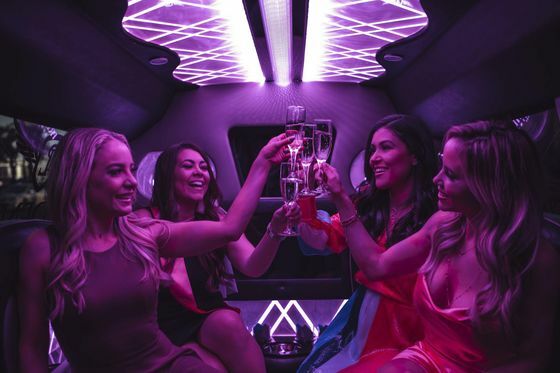 At Chippendales, the Divorcé Play (from $149 a person), often booked not by the divorcée herself but by a close friend, pulls some of the all-male revue’s signature perks—limo transfer, VIP seating, and shoutouts from the stage—into a tidy package that hits the zeitgeist head-on. Strip clubs are also a popular choice. “Your spirits will be insanely lifted by the time you leave,” jokes Lindsay Feldman, the director of brand marketing for Crazy Horse 3, an upscale gentlemen’s club that’s hosted high-profile celebrity divorce parties (on back-to-back nights, no less) for Colt Johnson and Larissa Dos Santos Lima, the formerly married stars of TLC’s 90 Day Fiancé, as well as actress and media personality Courtney Stodden. Custom details—a Colt-shaped piñata for Lima; a cleaved-in-half, three-tiered wedding cake depicting the bride kicking off the groom for Stodden—underscored an empowerment theme. The confident, sexed-up atmosphere drives home another unalienable truth: Las Vegas is one of the best places on Earth to be single.